Would you think less of me if I admitted I rarely listen to advice? Joanne Merriam interviews David C. Kopaska-Merkel. 140 And Counting contributors: Tess Almendarez Lojacono‘s latest novel, The Golden Age Quest Of Don Miguel Aguilar was a finalist in the Penguin Tarcher Best Artist Contest; Jumping Blue Gods has published “Some Pig,” a poem by Dawn Corrigan; Kaolin Fire has written a guest post for Inkpunks on exploratory writing; A. Jarrell Hayes was recently featured in Baltimore’s City Paper, and his new book Popular Television comprises 17 stories ranging from humor to horror; Peter Newton has 7 fragments in qarrtsiluni this month; Marge Simon‘s Vampires, Zombies & Wanton Souls can be purchased here, if you’re willing to scroll down a little, and her Four Elements (with Rain Graves, Charlee Jacob, and Linda Addison) can be pre-ordered here; and, Alan Summers has work in the new haiku anthology by Iron Press, The Humours of Haiku. Sergey Gerasimov lives in Kharkov, Ukraine. It is a country in a remote region of the world (somewhere in the geographical center of Europe), where no one speaks English, but finds it convenient to speak Ukrainian and Russian instead. 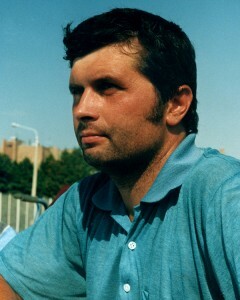 He graduated from Kharkov University as a theoretical physicist and worked for ten years teaching physics. Later, he became interested in psychology, and has published some theoretical psychology articles in Russian academic journals and magazines and a book about the psychology of ideas, published electronically in Russia. He started writing fiction in 1991, and about a hundred of stories, three hardcover novels, and two paperback novels had appeared in various places before he decided to write in English. Since 2006, his stories have appeared, among other places, in Clarkesworld Magazine, Fantasy Magazine, Adbusters, Strange Horizons, and Oceans of the Mind. 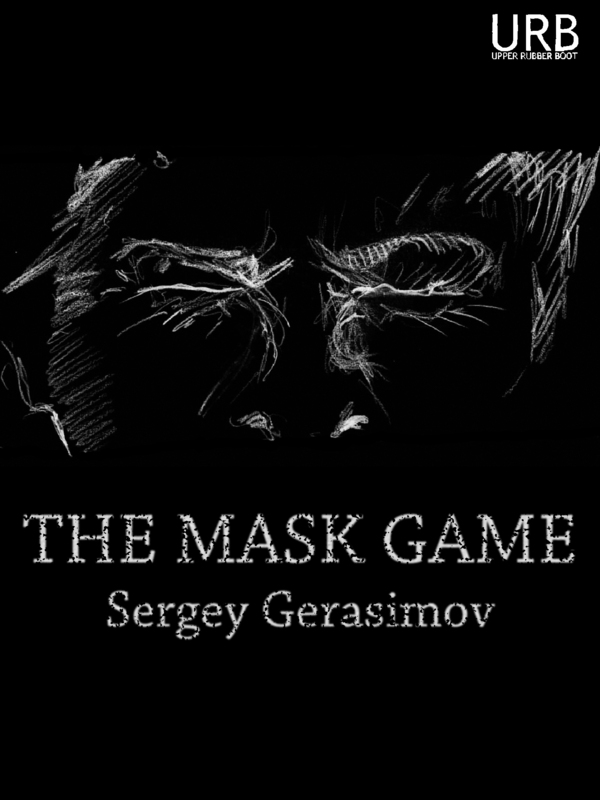 The Mask Game is his first novel written in the English language. 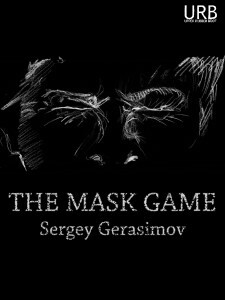 The Mask Game: released 7 December 2013. ISBN 978-1-937794-20-0 (epub) is available for iPad, Nook, etc. at Barnes & Noble (UK & USA), Kobo, and the Apple iStore (AR, AT, AU, BE, BG, BO, BR, CA, CH, CL, CO, CR, CY, CZ, DE, DK, DO, EC, EE, ES, FI, FR, GR, GT, HN, HU, IE, IT, JP, LT, LU, LV, MT, MX, NI, NL, NO, NZ, PA, PE, PL, PT, PY, RO, SE, SI, SK, SV, UK, USA, YV). ISBN 978-1-937794-18-7 (mobi) is available for Kindle on Amazon (AU, BR, CA, DE, ES, FR, IN, IT, JP, MX, UK, USA). ISBN 978-1-937794-19-4 (pdf) is available at Smashwords. “The Glory of the World,” Clarkesworld Magazine, Issue 22, July 2008. “The Most Dangerous Profession,” Fantasy, April 2009. “Speaking About Pancakes,” Strange Horizons, 15 December 2008. ISBN 978-1-937794-17-0 (epub) is available for iPad, Nook, etc. from the Apple iStore (AU, AT, BE, BG, CA, CH, CY, CZ, DE, DK, EE, ES, FI, FR, GR, HU, IE, IT, LV, LT, LU, MT, NL, NO, PL, PT, RO, SE, SK, SI, UK, USA). ; Barnes & Noble, Kobo, Novel Depot, and Weightless. ISBN 978-1-937794-15-6 (mobi) is available for Kindle on Amazon (BR, CA, DE, ES, FR, IN, IT, JP, UK, USA) and Weightless (worldwide; US currency). ISBN 978-1-937794-16-3 (pdf) is available from Smashwords and Weightless. Explore the subtle beauty of beetles, trash in the wind, cigar boxes, snail trails, bottle caps, sheets snapping on the line, and more. This contemplative haiku chapbook by T. D. Ingram will help you cultivate a greater awareness of the magnificent in the everyday, and open your heart to the beauty inherent in everything. 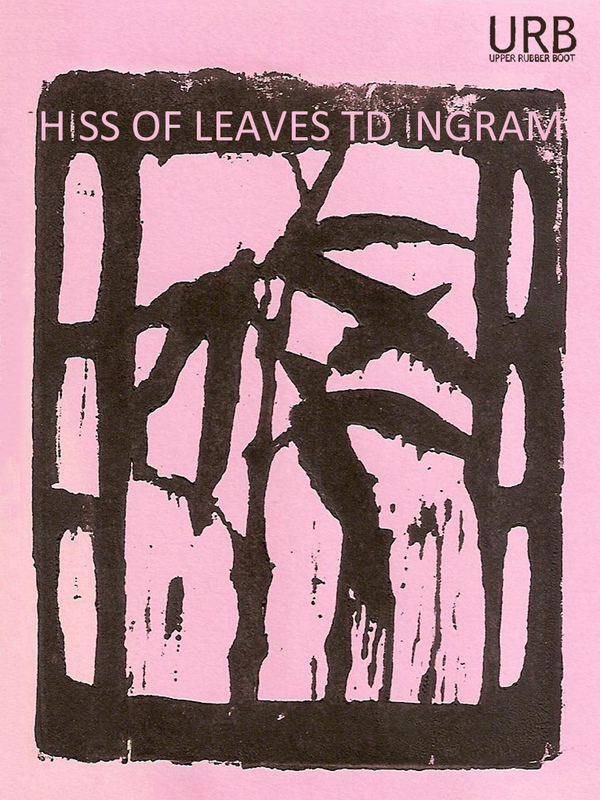 five haiku at The Haiku Foundation, part of The Haiku Registry and included in THF Haiku App: “hiss of leaves” [originally Editors Choice, South by Southeast 11:1 (2004) and Tinywords (April 21, 2005)]; “last freight car” [originally South by Southeast 14:3 (2007)]; “fall morning” [originally South by Southeast 11:1 (2004)]; “hawk circles” [originally South by Southeast 10:1 (2003)]; “clear evening” [originally South by Southeast 12:2 (2005)]. “the silence,” A Hundred Gourds 1:1 December 2011. “noonday heat,” Red Dragonfly, August 19, 2011. I have yet to experience the snow in the high desert of Oregon to see if this is true here also, but it is certainly true in the Midwest and other places I’ve been. It seems as if the light from the full moon, illuminating the world it shines on, ought make the winter night a little warmer but it has the exact opposite effect. The poet has caught this perfectly. 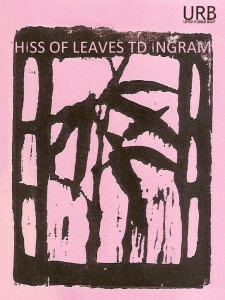 — Mark Lindner, “Ingram, Hiss of Leaves,” Habitually Probing Generalist, 26 September 2012. The LGBTQ Speculative Poetry issue of Eye to the Telescope contains work by 140 And Counting contributors Julie Bloss Kelsey, Deborah P Kolodji, Robert Borski and Marge B. Simon. Bad Moon Books is selling signed hardcover limited editions of Four Elements by Marge Simon and three other authors (Rain Graves, Charlee Jacob, and Linda Addison). Our Facebook August Giveaway is still going on here. There’s a two-step process to enter: “like” Upper Rubber Boot Books’ Facebook page, and then “share” the August Giveaway post, which will be pinned to the top of our Facebook page until the end of the month. Five people will win their choice of mobi, epub or PDF of Blueshifting! We have an August Giveaway going on right now (and until the end of August) over at Facebook. There’s a two-step process to enter: “like” Upper Rubber Boot Books’ Facebook page, and then “share” the August Giveaway post, which will be pinned to the top of the page until the end of the month. Five people will win their choice of mobi, epub or PDF of Blueshifting! David Kopaska-Merkel’s Dreams & Nightmares Magazine blog has a listing of The Magazine of Speculative Poetry‘s next issue’s contents, and it includes Robert Borski. Borski also has a new story at Lovecraft eZine. 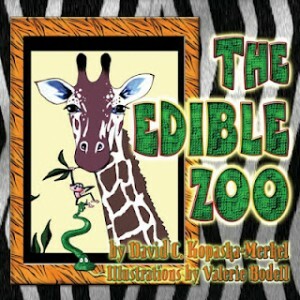 David Kopaska-Merkel‘s book of poetry for children The Edible Zoo is available for sale from Sam’s Dot Bookstore. Finally, Nora Nadjarian‘s The Girl and the Rain is just out from Turtleneck Press. Welcome to Intermittent Visitors: a multi-author blog tour! Read Intermittent Visitor posts here! You can find notifications of new Intermittent Visitors entries at our blog, or by following us on Twitter or Facebook, or by going to this list. You are willing to: visit others (that is, be interviewed, write a guest post or otherwise appear on somebody else’s blog), and/or be visited (that is, interview another writer, post another writer’s guest blog post, or otherwise host somebody else on your blog). Please note that URB is happier to set people up with interviews if they are willing to do interviews in return, but it’s not required. If you meet our modest requirements, editor Joanne Merriam will link you up with another writer (or if you’d rather, you can find your own, but contact us first), to be interviewed, reviewed, commented on or responded to. We’ll require that Intermittent Visitor entries link back to this page, and that you send us the link to your post when it goes up, and we’ll request that you display the Intermittent Visitor logo on your post. Easy peasy.